Out of stock since Tuesday, 2 April 2019. Due back soon. 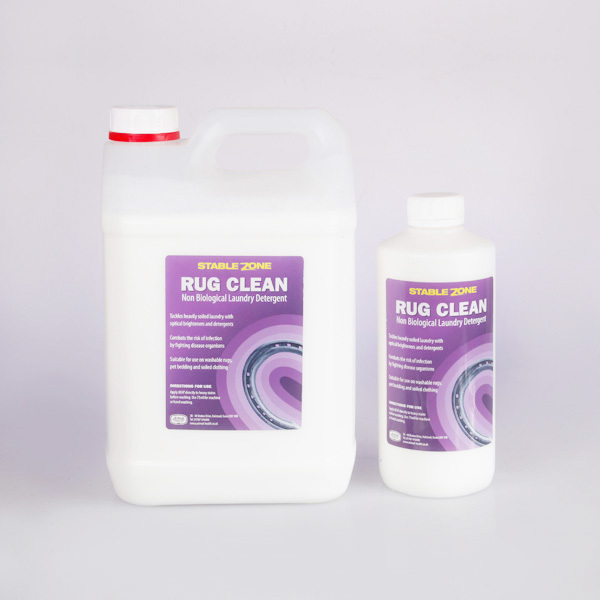 StableZone Rug Clean is a non-biological, liquid laundry detergent for use on all washable rugs, sheets, numnahs etc. Use for machine or hand washing. There are currently no questions for StableZone Rug Clean - be the first to ask one!